Detectives investigating the report of a burglary at a property in Ballynure at the weekend are appealing for information. 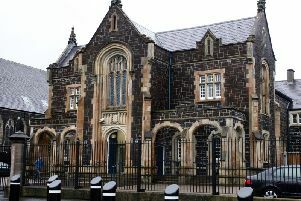 Detailing the Castletown Road incident, Detective Constable Graham said: “It was reported that a man who had forced entry to the property was disturbed by one of two occupants at around 8.50pm on Sunday, June 10. “The suspect was described as being of a broad build, approximately 5’ 11’’ tall, and was reported to have been wearing dark clothing, with his face and head covered. Detective Constable Graham added: “I am appealing to anyone who was in the area around this time and saw any suspicious activity, or anyone who is offered any jewellery for sale in suspicious circumstances, to contact detectives in Ballymena on the non emergency number 101, quoting reference number 1478 of 10/06/18.